When the NRA convention was in Charlotte in 2000, I had an op-ed in The Charlotte Observer that asked “Would Jesus join the NRA?” I did not answer the question – but as you can imagine, I got hammered with intense criticism; threats were made on my family and on me. For Christians, I still contend, it’s a pretty important question. How do we think theologically about guns? What are God’s feelings about guns? Guns loom large in politics in America, with an intensity of feeling rivaling that of questions of who should be able to marry. There’s something beyond rationality for most in this discussion – that isn’t really a discussion at all. We shout past one another, or mutter as we turn away from one another. As we’ve seen earlier in our series, most of the talk is about “rights,” which isn’t a biblical category at all, and only adds to the shrillness in the political arena. I cannot begin to prescribe what would be the right legislation or party or candidate on this thorny issue. But there are a couple of questions I do know the answer to. One is “What would Jesus do if he were watching TV, and people started shooting at other people?” Jesus would shudder, and then turn off the TV. To me, it is entirely clear that a reason we have so many shootings, and so much violence, is because we absorb so much of it over a lifetime. Seeing shooting doesn’t make me shoot someone, but when shooting is normalized over the general population, we need not be surprised when someone on the edge loses it and starts firing, and no one knows how to settle a conflict except by force. Mind you, Jesus was and is our savior, which involved his suffering; we can’t be saviors. But can there be a holy, humble way of talking about gun rights? 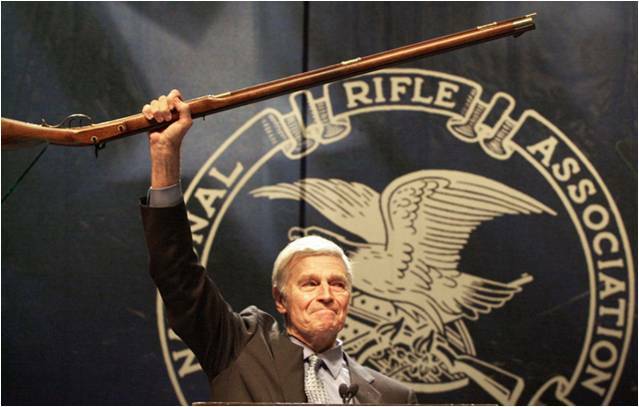 It was here in Charlotte that Charlton Heston reinvigorated that stern slogan, “I’ll give you my gun when you pry it from my cold, dead hands.” What got pried from Jesus’ cold, dead hands were nails, driven through the hands that healed and touched the people everybody else was afraid of. Could we at least learn to talk peaceably, and listen charitably on this subject – and to do so in a Christlike manner? One of the loveliest men I’ve ever known gave me a gun and took me hunting when I was a young pastor. He was humble, careful and respectful of guns and people, and wanted no part of adamant, shrill campaigns for guns. He favored rational changes in gun legislation, and never fretted for one moment any politician would take his hunting rifles away from him. I wonder what Jesus might say about compromise on gun issues. Interestingly, I have a friend who says No compromise ever on guns – but then he is a pro-life advocate who is upset that America is the lone nation with abortion on demand, and we can’t seem to garner support for compromise legislation to limit certain kinds of abortions. We complain about gridlock in Washington, but then we have our own as people. Could it be God would be pleased by a bit of give and take on gun laws, and on abortion laws, and on the rest of what politicians and people try to resolve, so we might save a few more lives, and find ways to work together for a safer world for people in cities, and those yet unborn?